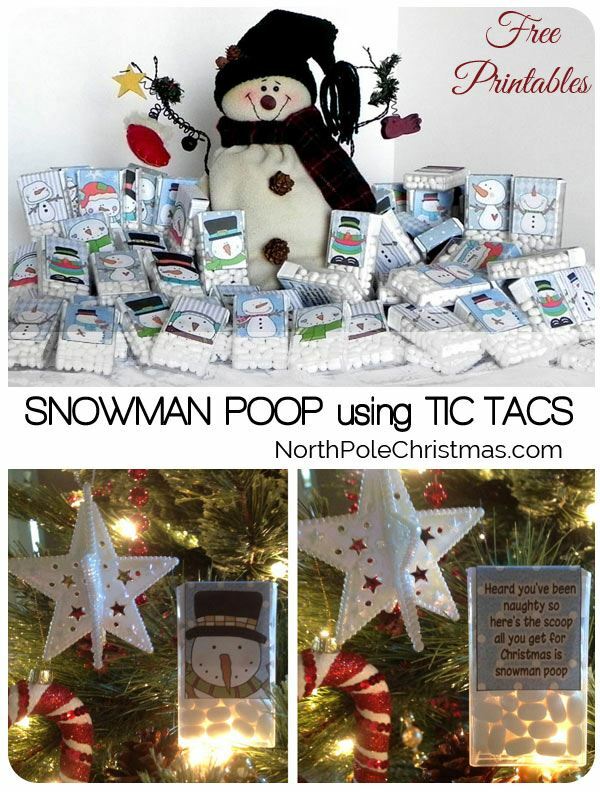 Turn mini-marshmallows or tic tacs into a fun gift. 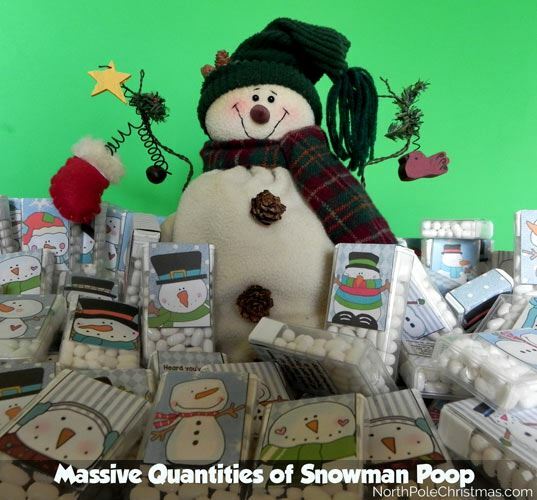 Use snowman poop for stocking stuffers, classroom treats, holiday gag gifts, co-worker gifts, Secret Santa exchanges or just fun gifts. 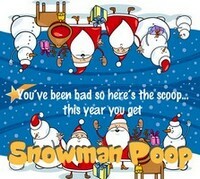 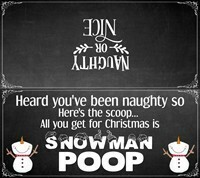 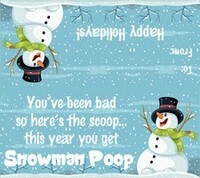 Snowman poop sells well at craft shows. 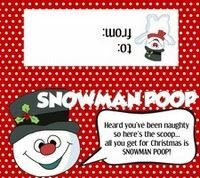 To use marshmallows or cotton balls with a plastic bag - Print one of the snowman poop bag toppers that will fit a resealable plastic sandwich bag, fill bag with white mini-marshmallows or cotton balls and staple bag topper to plastic bag (or use double-face tape). 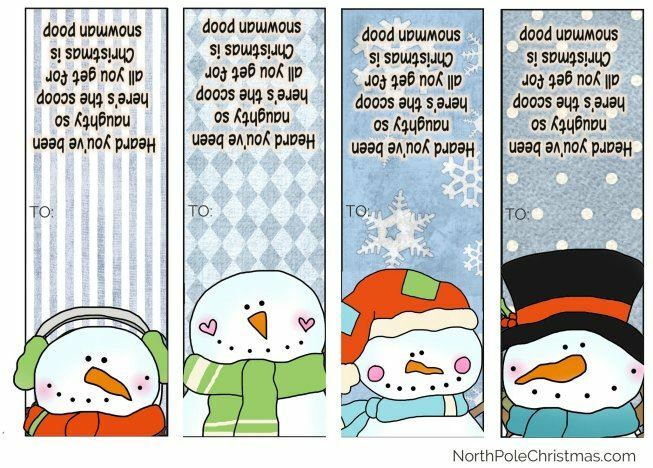 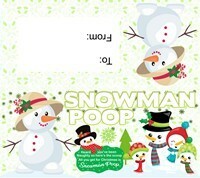 For tic tac labels - Print one of the snowman poop poems that will fit over a tic tac label, cut it out and cover the original tic tac label with a new Snowman Poop label. 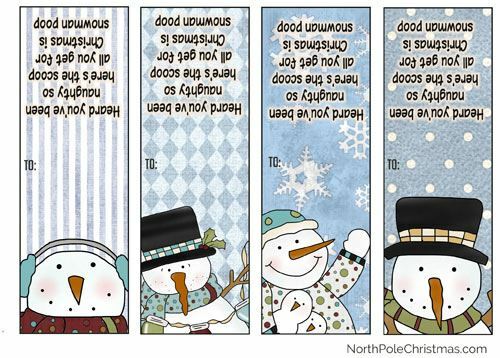 Attach with double-faced tape. 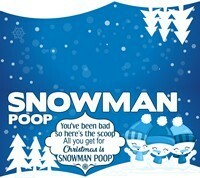 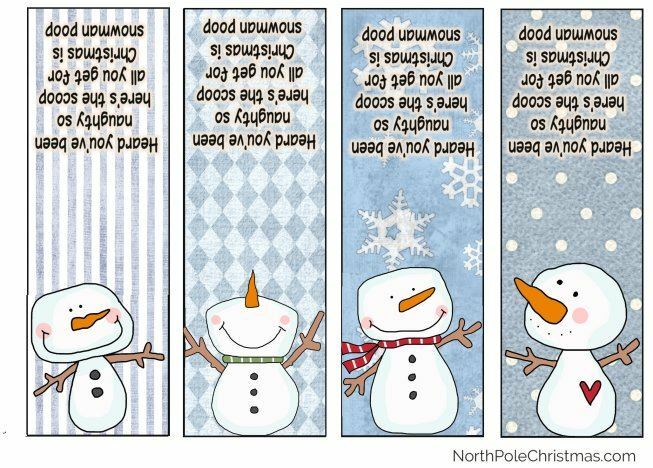 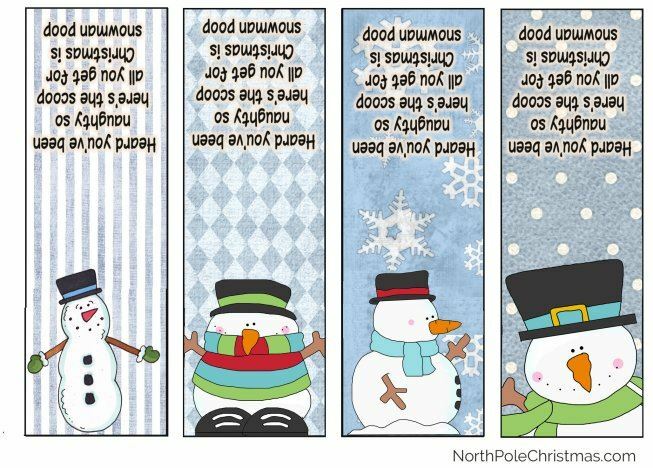 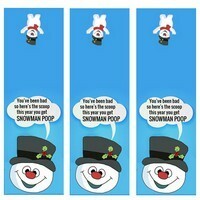 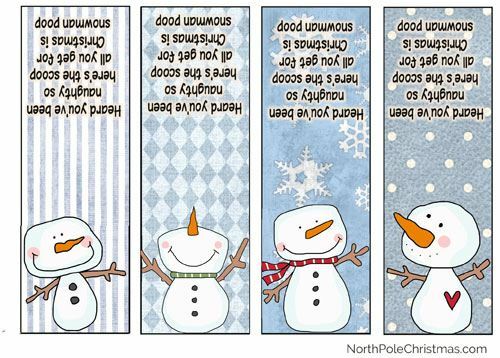 Click the images below to print each set of 4 snowman poop labels for white tic tacs.